New StumbleUpon In The Wild; When Do The Rest Of Us Get It? Israeli blogger Tal Siach, one of the authors of the Walyou blog, seems to be one of the few people who can actually access the new, toolbar-free version of StumbleUpon. The new version was set to launch to everyone on Wednesday, but so far everyone I’ve spoken with is still on the old design, which requires the downloaded toolbar to function properly. Lucky for us, though, Tal is in, and wrote a review of what he sees. I use StumbleUpon on a daily basis, so I was surprised to see a brand new design and face on one of my favorite social networking sites. It also came as a shock since TechCrunch recently reported that Ebay showed their interest in selling StumbleUpon. Since it came so sudden, I spoke to some of my friends and realized they do not see the same new face that I see on my monitor. I assume that StumbleUpon must have wanted to slowly bring it up on various users, test it, get feedback and then provide it to their massive community. I am extremely fortunate and lucky to be one of the selected to test the design. Once I enter the new StumbleUpon Homepage, I noticed that it has had a complete makeover. As you can see in the screenshot below, there is an innovative header to the site and all of the sites that are featured here have 5 stars. In the second screenshot below, different scales are presented, and the number of reviews do not decide the popularity alone. You can see that the last submission received 24 reviews yet still did not rank well and has 0 stars. This refers per submission and doesn’t necessarily say anything about the domain itself; the same site can have additional posts with varying stars rank. Seems like StumbleUpon gives a Featured Icon to any post that has been discovered. 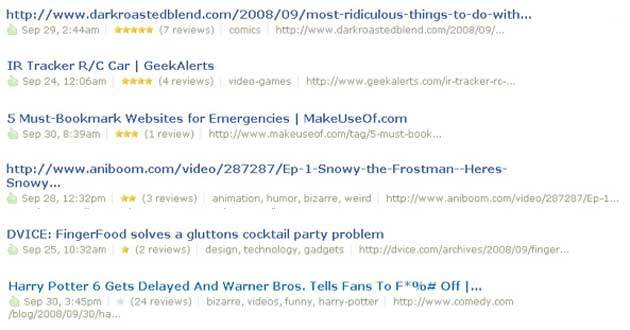 At first glance I thought it is a mark to show if posts have become hot or not; however after a second look I am fairly certain its just a mark to show the URL has been discovered, and the number of stars are the real indication whether a post went popular or not in the StumbleUpon algorithm. I just recently stumbled an interesting post about Kwiclick.com via Orli Yakuel’s blog. 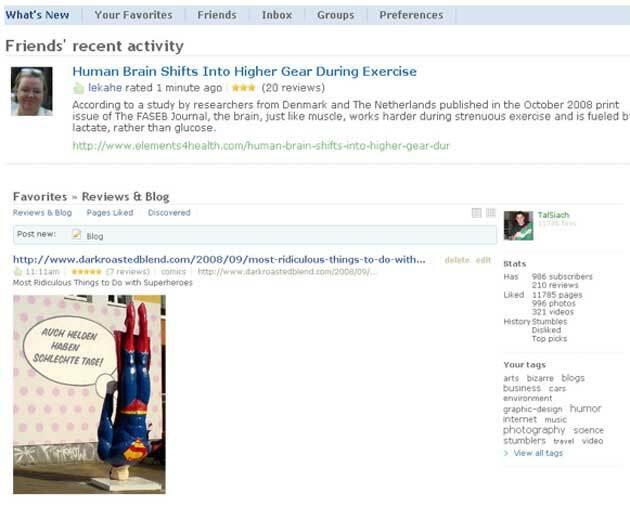 Below you can see the discovery page of that submission with the Featured Icon and the user who discovered on the right. Underneath that Stumbler who discovered it you will see others who liked it. Since I just discovered it, it is only me ;). After people review the post they can add the specific site as a place for cool resources and with that get more similar stuff they like in the future – improving the recommendation engine. For example, I clicked the question above, and marked Go2web20.net as a source I would like to see more from the site. The picture below shows the changes on what happens where the “do you like this page from…” is. In the new StumbleUpon design, the Categories are listed on top, while the ranked posts based on stars rating and enough algorithm popularity are listed within their category. 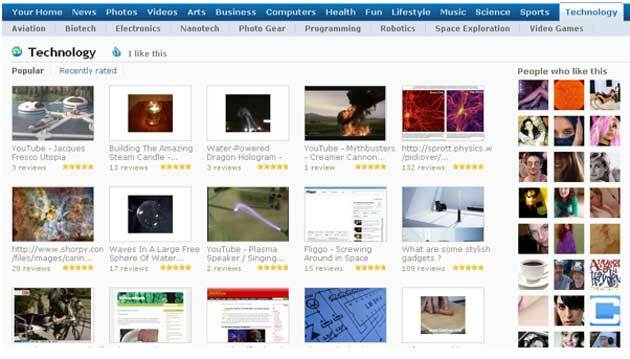 In this screenshot example below: all the technology related posts that were featured have subcategories like Electronics inside technology. 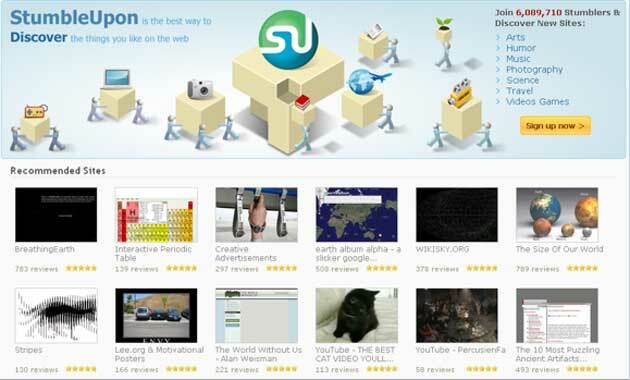 The items listed here aren’t necessarily new ones, and you can find links that are rather old but with good rankings from the StumbleUpon community. StumbleUpon users can now check the selected articles, pictures and videos that the community marked as Popular. By placing the categories on top of the page, StumbleUpon encourages users not only to stumble random stuff directly from the toolbar but actually go and choose a list of popular stumbles themselves of what they would like to read, see or watch. If you ask me, maybe StumbleUpon wants to encourage users to use the site more like other social bookmarking sites like Digg, Reddit or Mixx. From now on, you and others can see the number of stars on your own discoveries and vice versa. Moreover, you can see the star action in actual sections as well, so it may encourage you to check additional stumbles. Well, these are some of the changes I saw so far and there are probably others. With time, additional information will be revealed, and as I mentioned not all users can see the new design in the beginning. I am not sure what the reason is, but it is probably to beta test its effectiveness first. 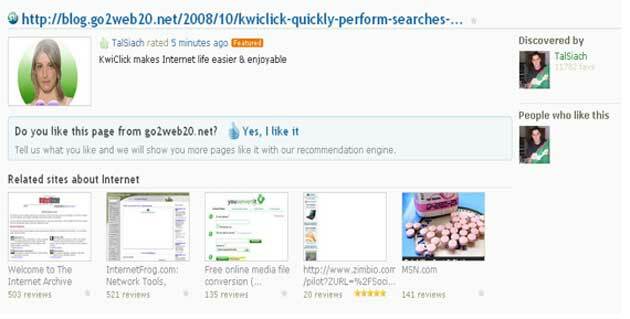 Another addition we may see is what Tec Crunch (http://www.beta.techcrunch.com/2008/09/30/stumbleupon-set-for-resurgence-with-web-toolbar-partner-program/) mentioned of StumbleUpon’s desire to develop their toolbar for the web instead of an install toolbar. They must be missing a lot of users by requiring the installation, which many want to avoid. My own new design assumptions have not been confirmed by the StumbleUpon staff and are my own opinions and beliefs. If there is something you have found out which I have missed, I would love if you would share in the comments for all the readers to read as well.